This multiple-technology flow monitor will power almost every available sensor technology that is used in wastewater applica­tions today. 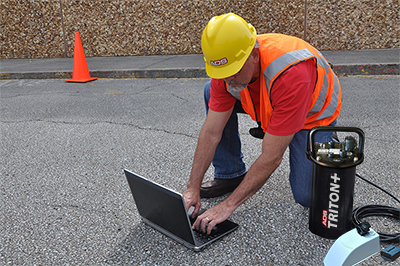 It is the most versatile and cost-effective, intrinsically safe flow monitor on the market. 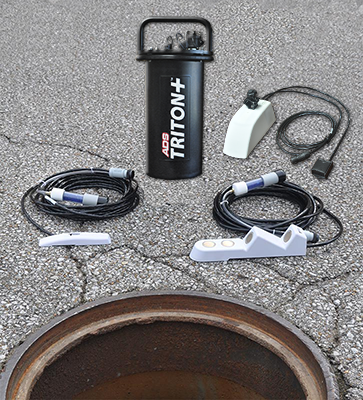 The TRITON+ includes four multiple-technology sensor options: a Peak Combo Sensor - CS4, a Surface Combo Sensor - CS5, an Ultrasonic Level Sensor, the Long Range Depth Sensor (LRD) - CS6, and the NEW AV|GATED gated velocity sensor - CS7. These sensors enable flow measurement in a variety of conditions, including very shallow or low flows. 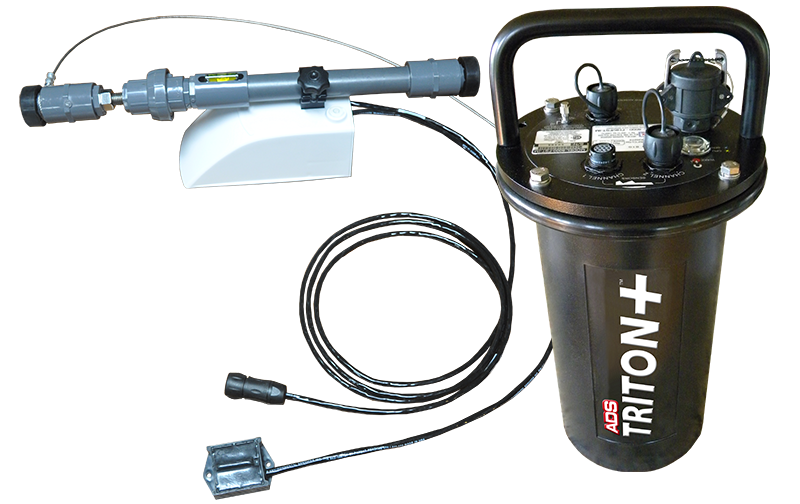 The TRITON+ platform adapts to a wide range of customer applica­tions and budgets. It can be configured as an economical single sensor monitor or dual sensor monitor. 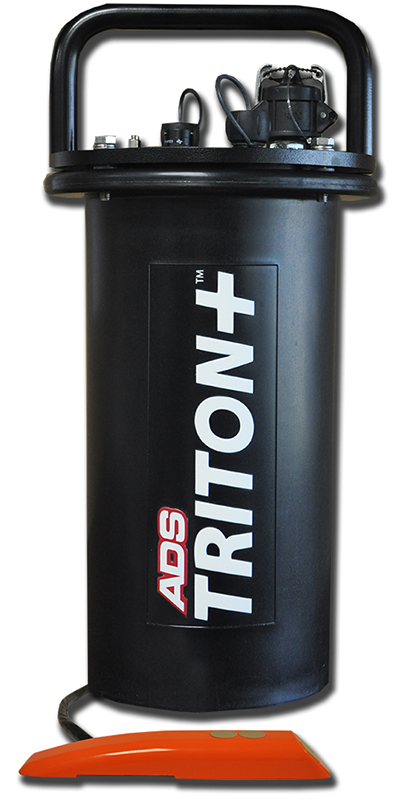 It offers a longer battery life and fewer parts for a more reliable system. This provides a lower purchase price and a lower ownership cost over the life of the monitor.